Austen scholar Amy Smith’s memoir of a reading group road trip from Mexico to Argentina with Austen’s books as her traveling partner, offers new delights by seeing these beloved books from the other side of the border. Amy Smith had read everything from Pride and Prejudice and Zombies to the many Austen sequels and prequels and even dating handbooks. Committed to the idea that Austen speaks eloquently to modern life she encouraged her students to take Austen out of the classroom and into the world. And so, when she had a sabbatical year to fill, Amy set out to read Pride and Prejudice, Sense and Sensibility, and Emma with reading groups from Mexico to Argentina. She was curious to see whether Austen’s characters would be able to cross borders, and languages. And she was itching for something different. 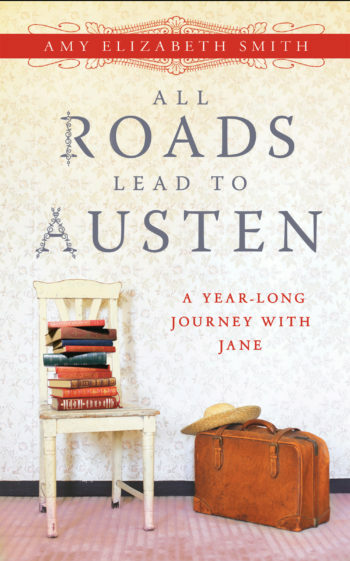 She couldn’t have imagined, at the outset, how fine a traveling partner Austen would prove to be, nor how the trip would change the way she thought about Austen, an author that she thought she knew through and through. And she certainly didn’t anticipate being swept off her feet by a distinctly Mr. Darcy-like Argentinean named Hugo on the last stop of her literary tour. Smith’s account reads like an educational travel blog, full of colorful characters, overviews of the history and the traditions of each culture, as well as reflections on her own preconceived assumptions and stereotypes. This enjoyable book should appeal to fans of literature and travel, especially those interested in Latin America.